Ridge Meadows Recycling works in partnership with the City of Maple Ridge to administer a number of environmental programs that promote waste reduction, energy & water conservation, and reduce the number of interactions with wildlife in our community through the Wildsafe BC program. RMRS partners with Community Living British Columbia (CLBC) to run the Supported Work Program, providing employment and training to people with developmental disabilities. 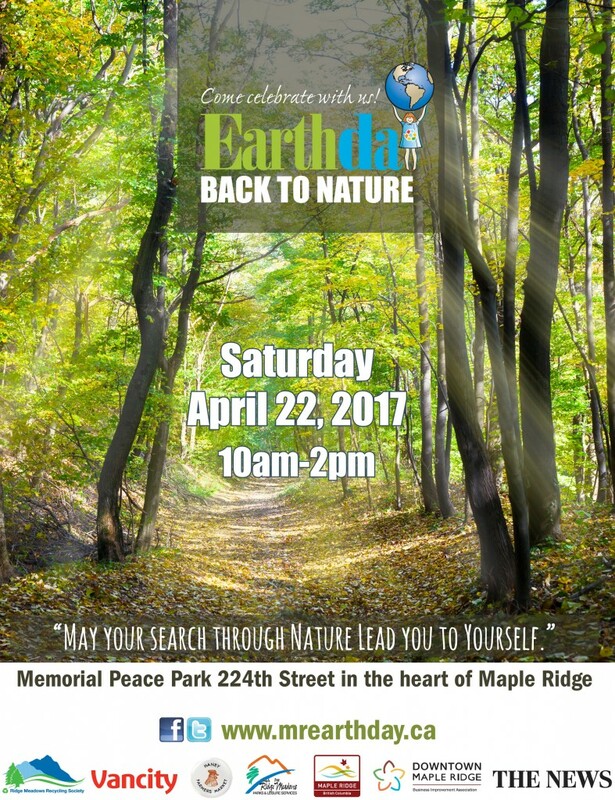 After the success of our 40th Anniversary Celebration in 2012, Ridge Meadows Recycling continued to organize the Celebrate Earth Day in Maple Ridge festivities at Memorial Peace Park. We take part in as many local events and festivals as possible throughout the year. Check out some of the amazing events & festivals our community has to offer at Maple Ridge Parks & Leisure Services. Click to view our October, 2016 Newsletter which includes information on Waste Reduction Week, Turn Down the Heat Week, Maple Ridge’s First Ever “Celebrate the Night” event, Fall Brush Chipping set-out deadlines, photos from the LAST Committee‘s Free Community Living Month BBQ, & more. Enjoy! Ridge Meadows Recycling’s Guide & Scout Waste Reduction Challenge!